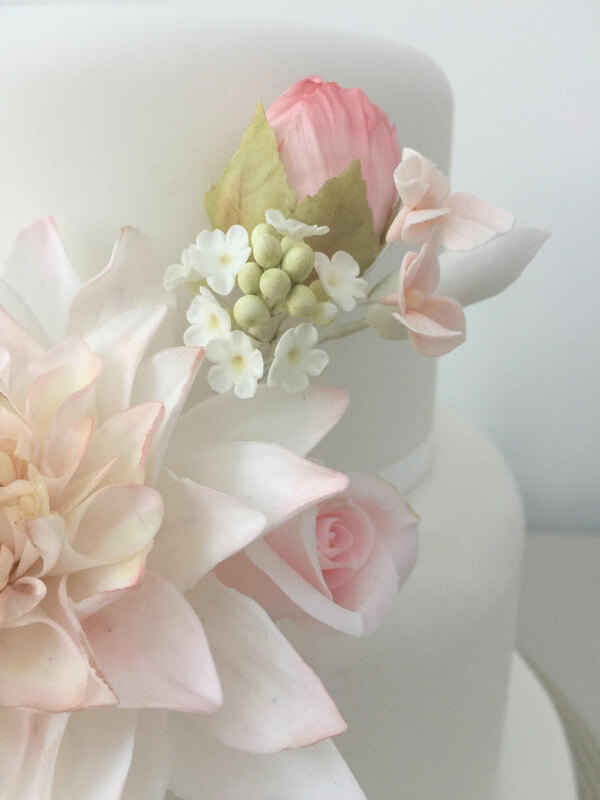 Are you looking for something pretty and unique for your big day? 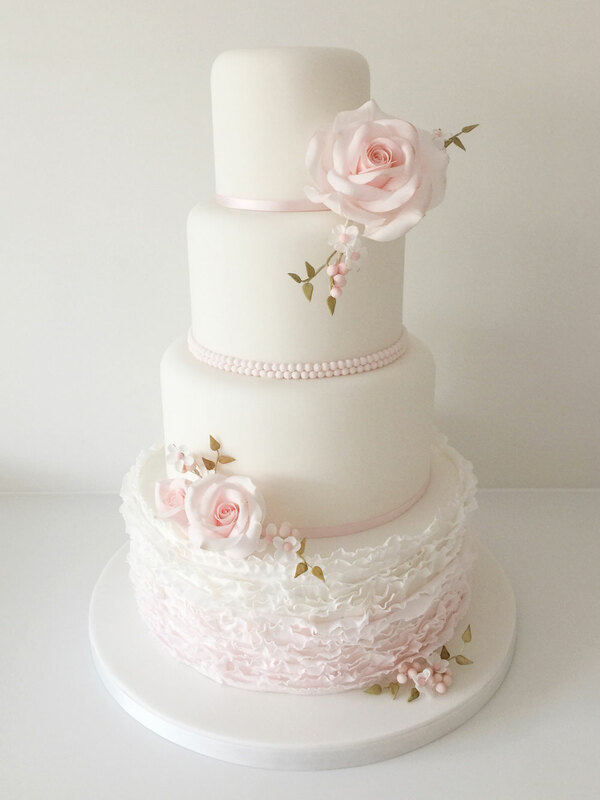 Something feminine and stylish? 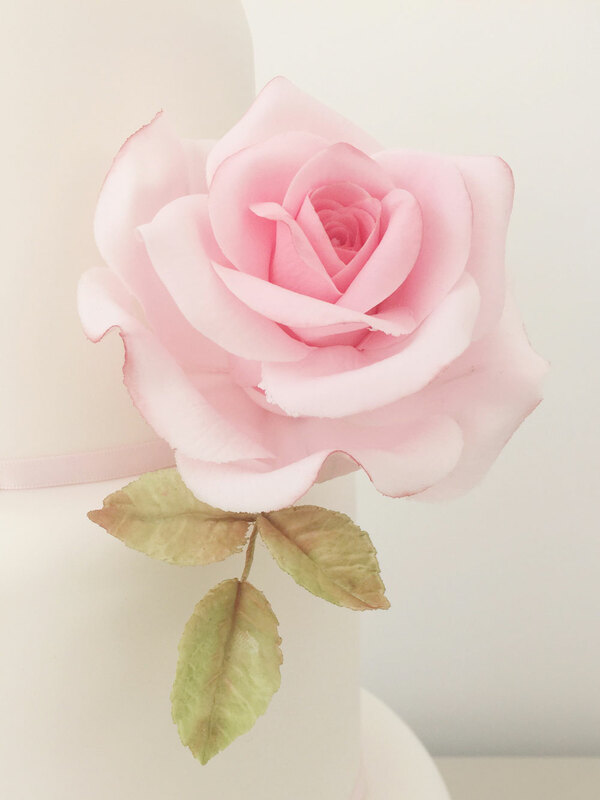 We are pretty sure you’ll take a look through our gorgeous collection and fall in love with at least one of them. 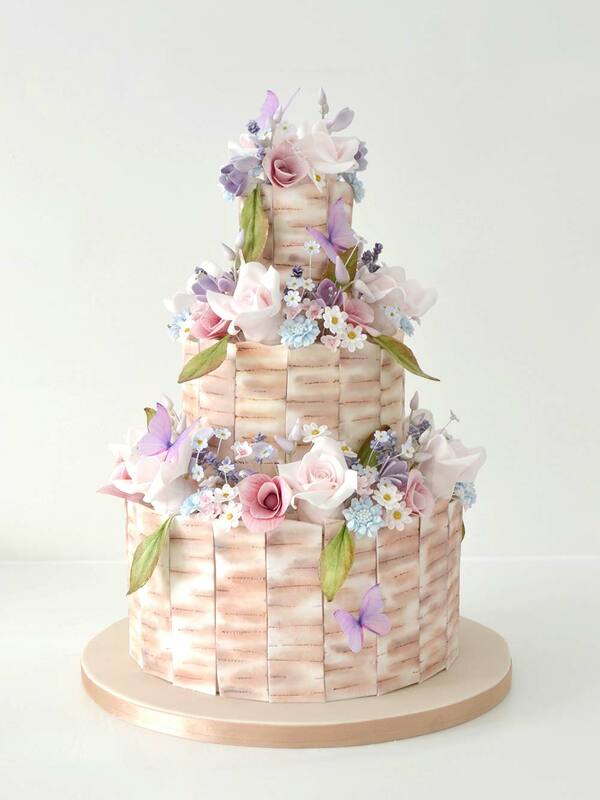 The good news is that all of the wedding cakes in our collection are made to order. 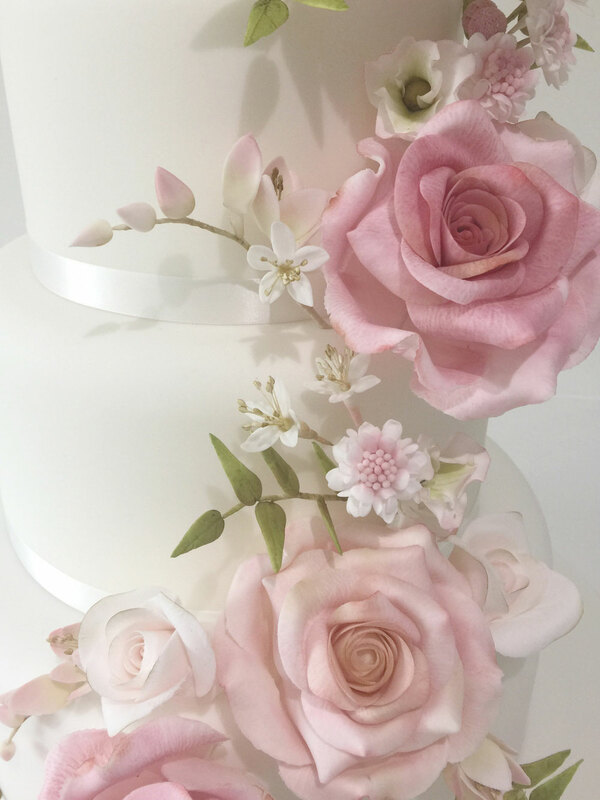 This means that you can have sharp or soft edges, taller tiers added into the design and that the colours of flowers and ribbons can be changed to compliment your colour scheme. 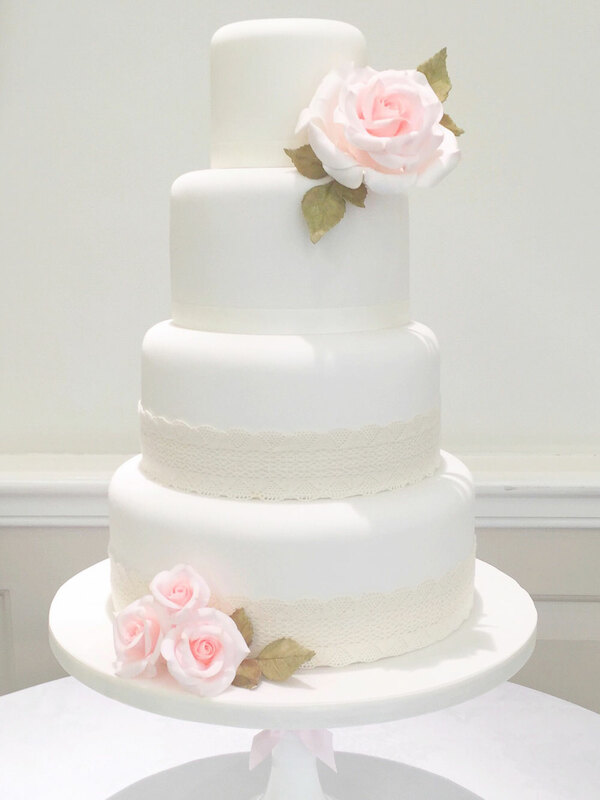 Cake sizes can be altered to accommodate the correct portions needed for your guests and you can choose a different flavour for each tier so that there is something for everyone. 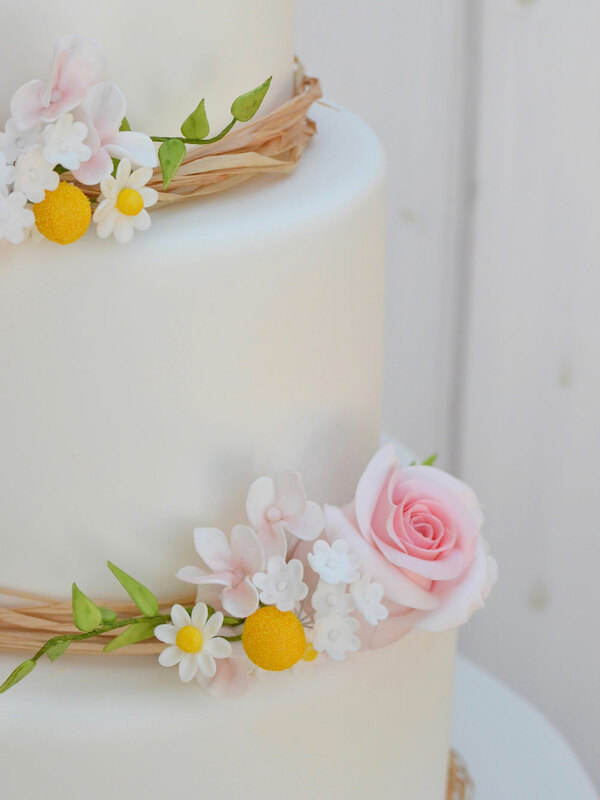 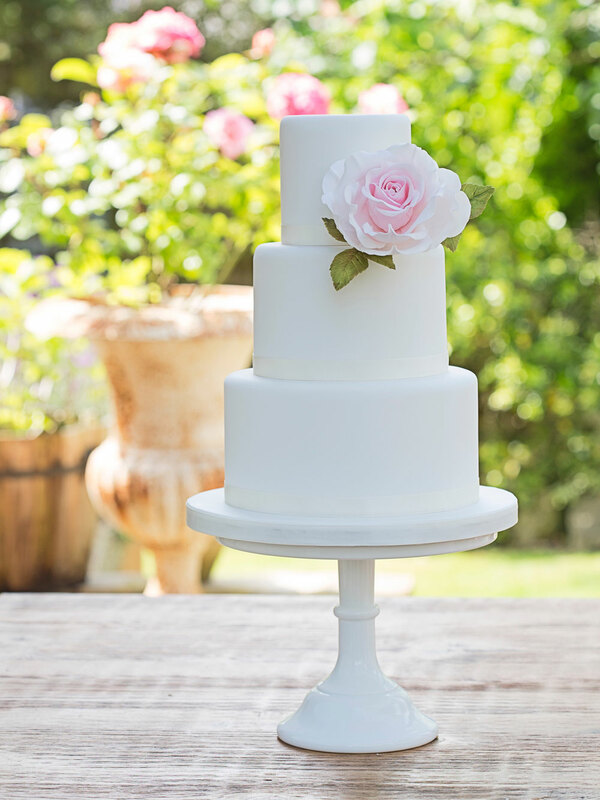 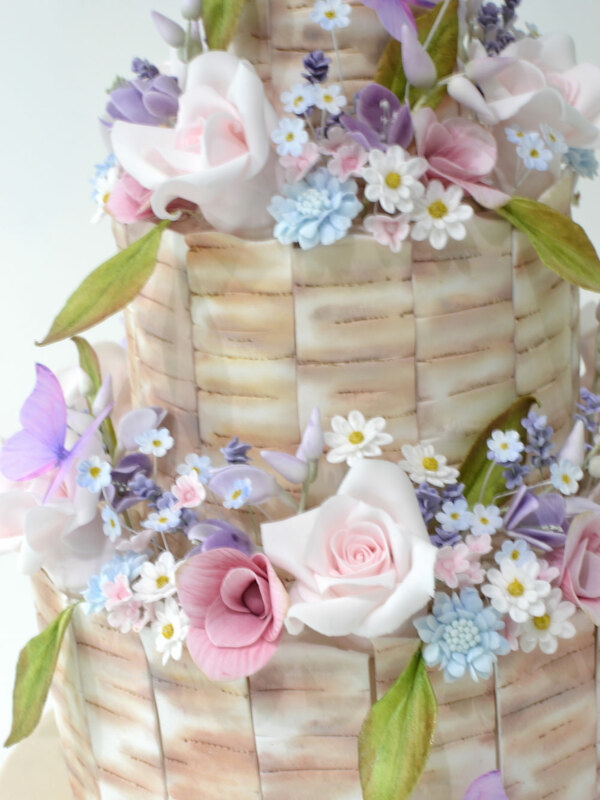 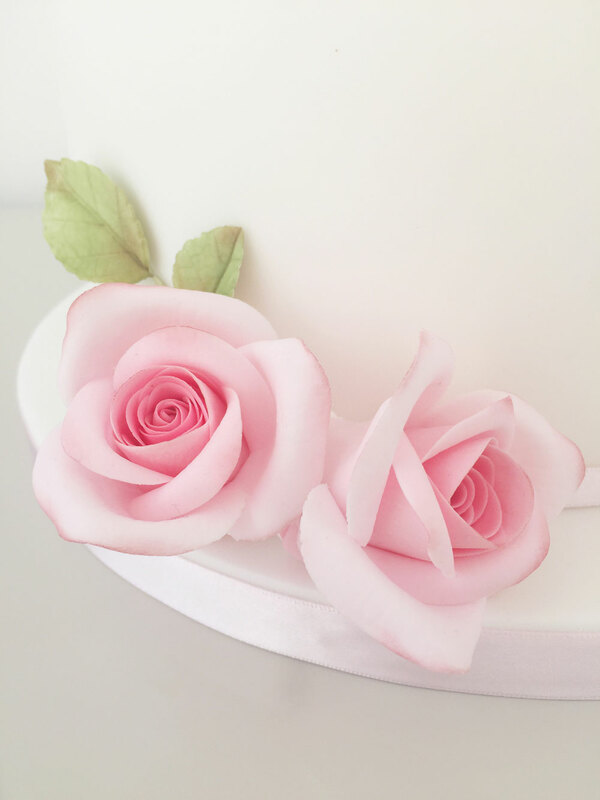 If you have something specific in mind, visit our Bespoke Wedding Cakes page and complete the contact form. 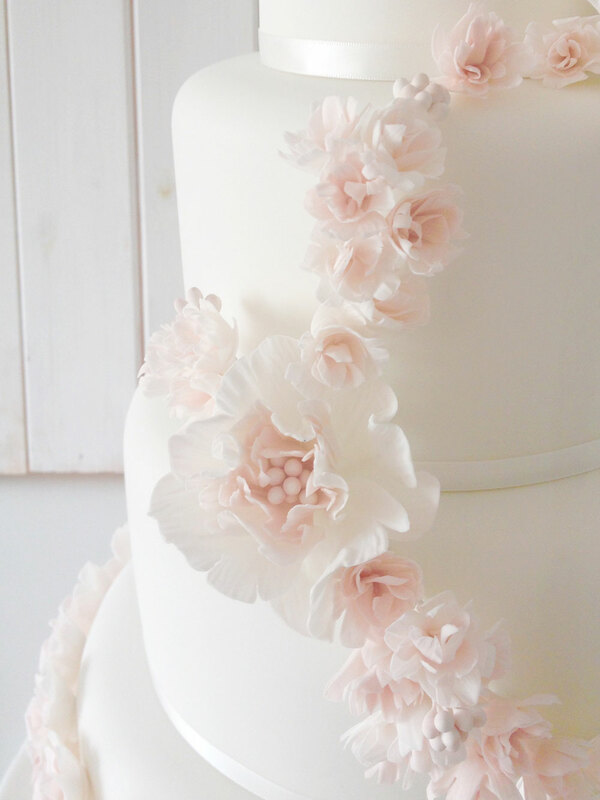 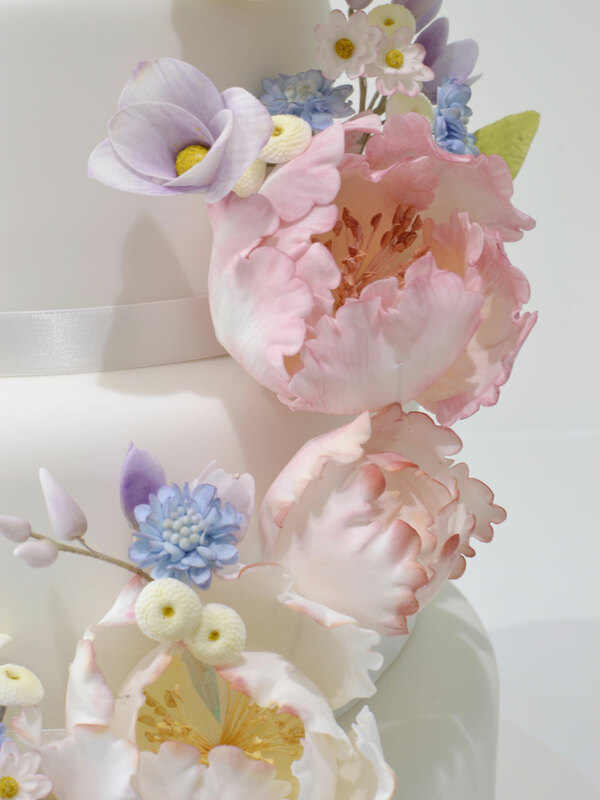 Decorated with an abundance of tiny, ruffled blossoms and trimmed with handmade sugar ribbons and a soft bow. 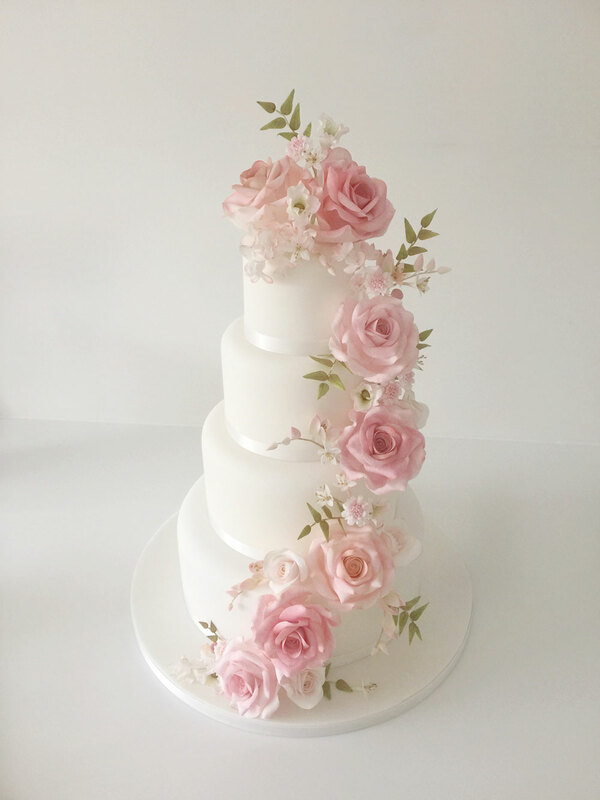 Decorated with a single, beautiful, over sized rose and delicate hand painted leaves. 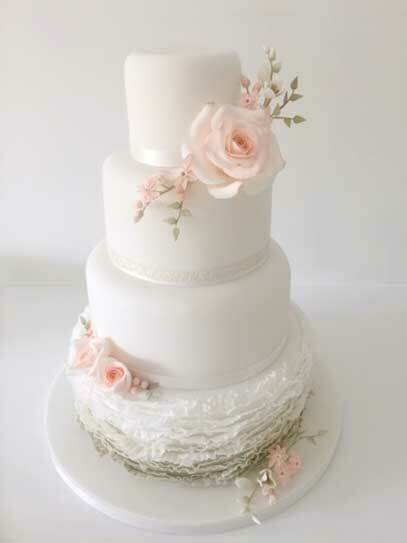 Simple, elegant and pretty. 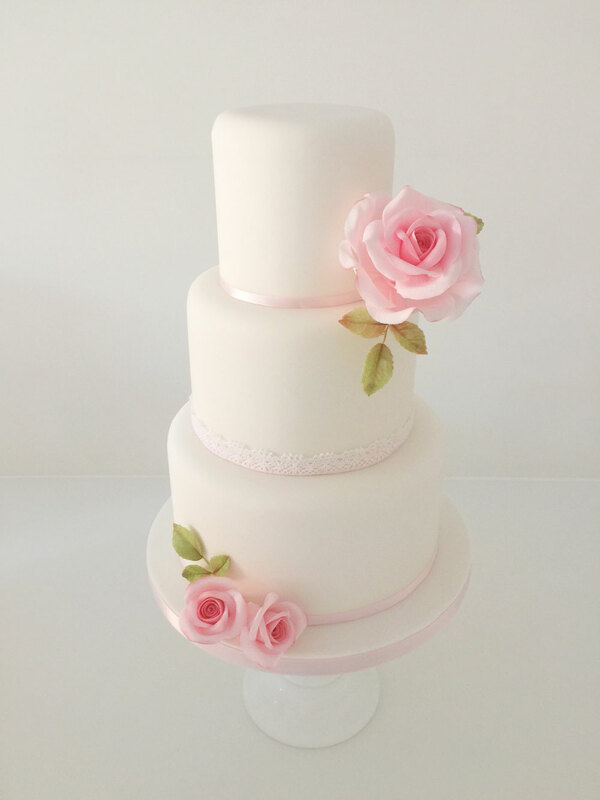 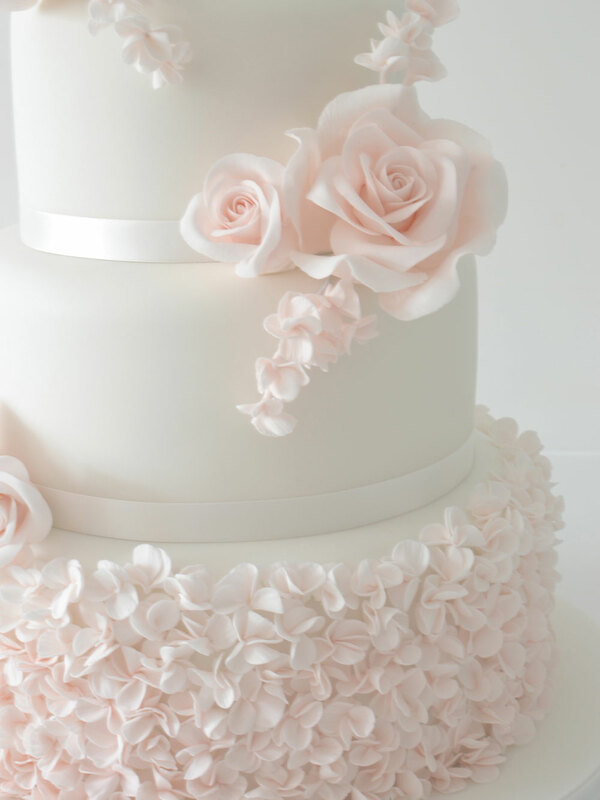 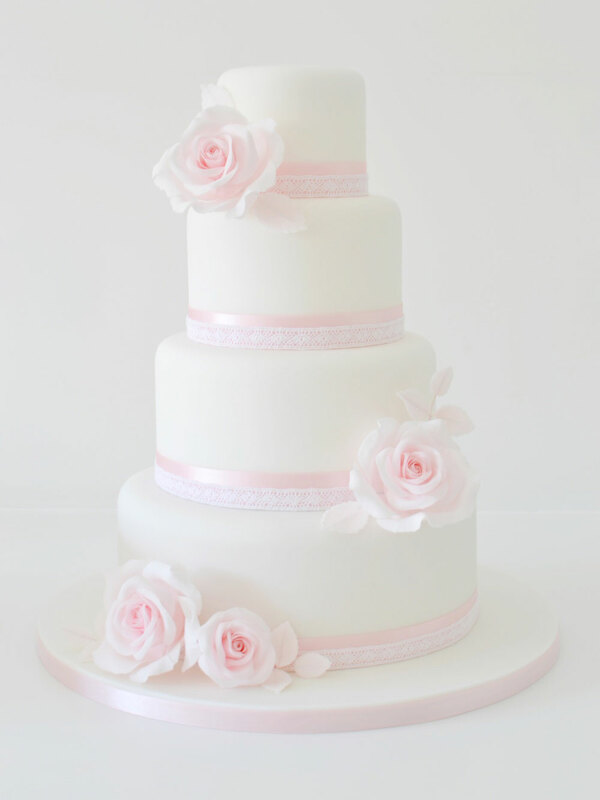 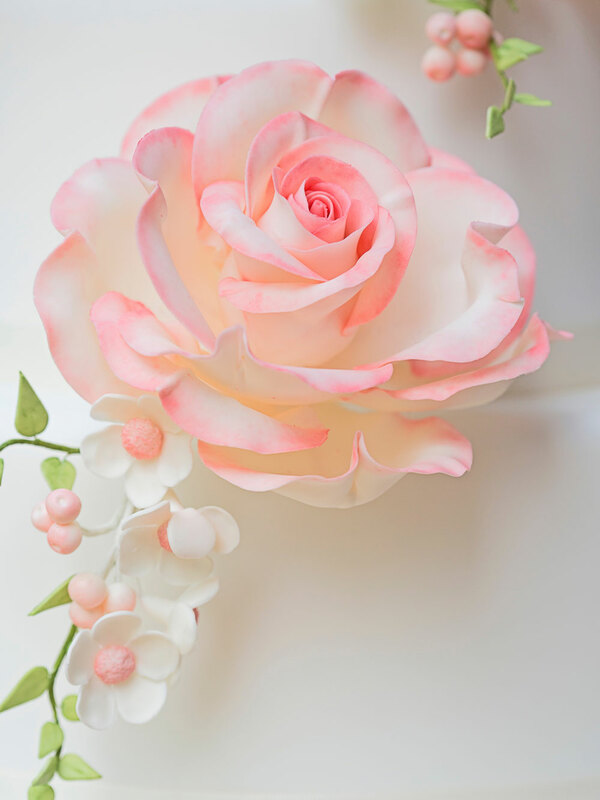 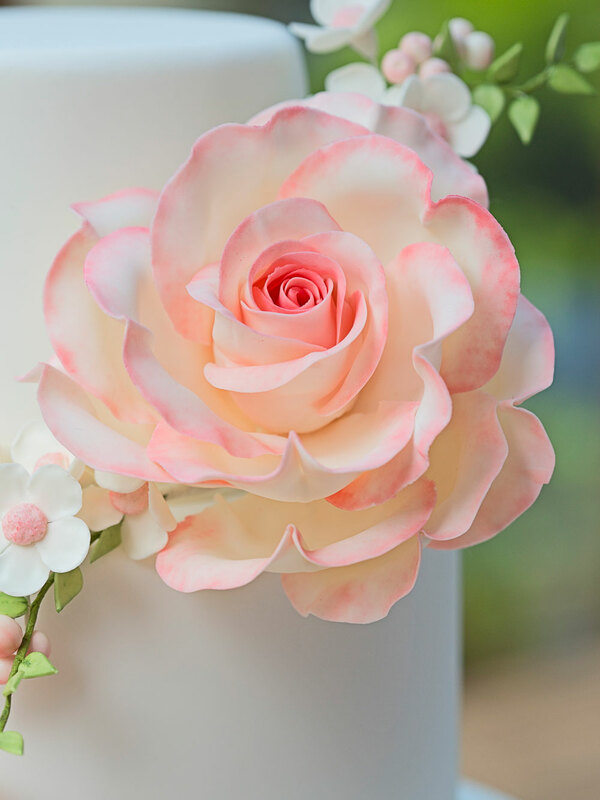 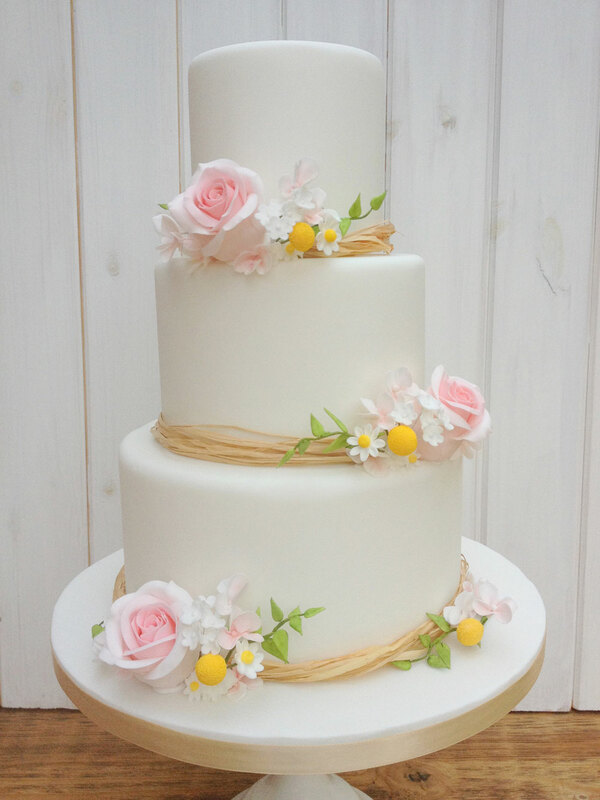 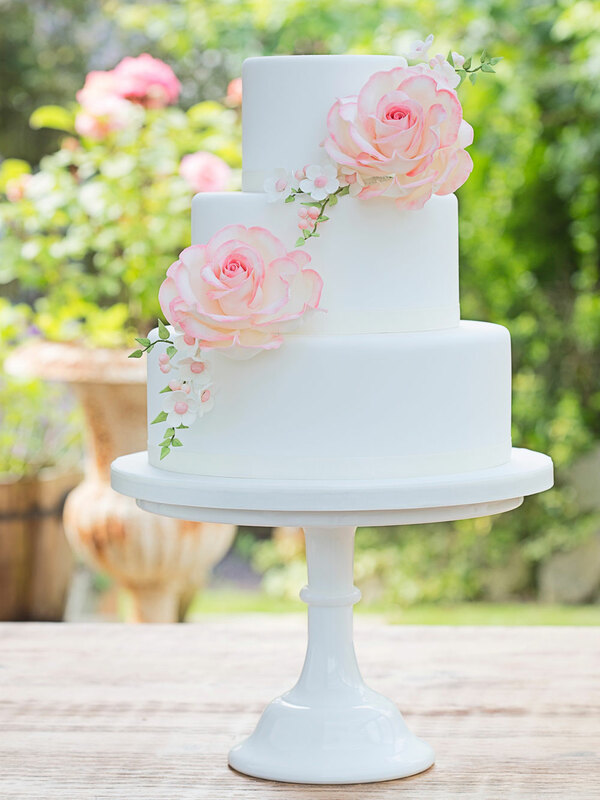 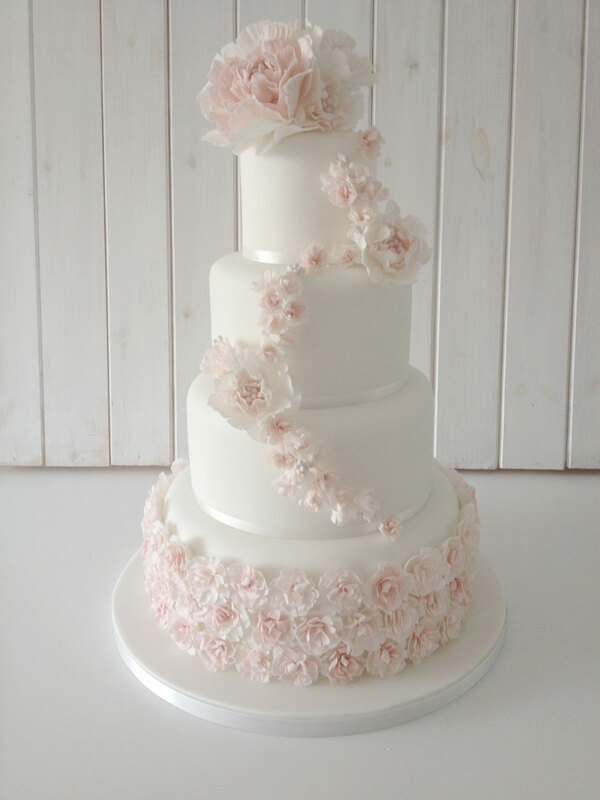 Decorated with beautiful, over sized sugar roses and a delicate mix of trailing blossoms, pink berries and leaves. 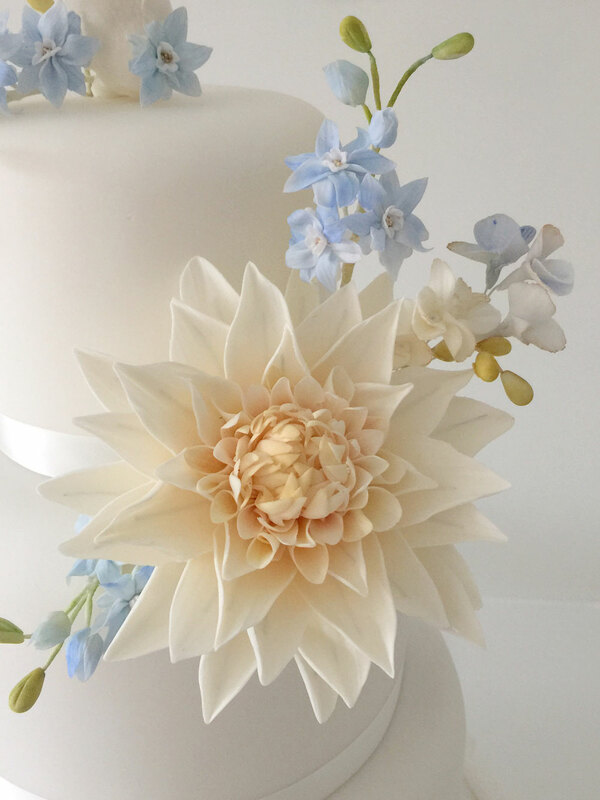 A striking combination of sugar Dahlia, roses and delphiniums set against soft ombre ruffles. 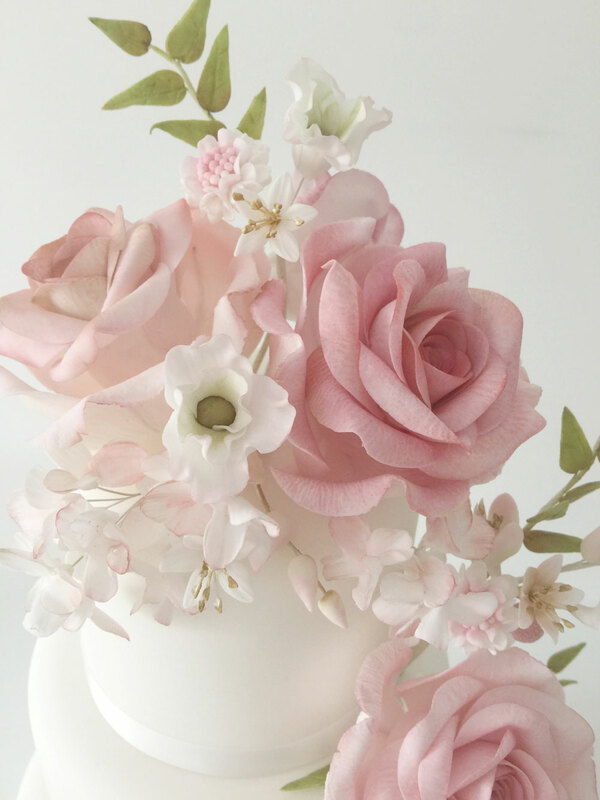 Masses of realistic oversized sugar roses, vines, listhianthus, scabious and freesias, an absolute favourite amongst flower loving brides. 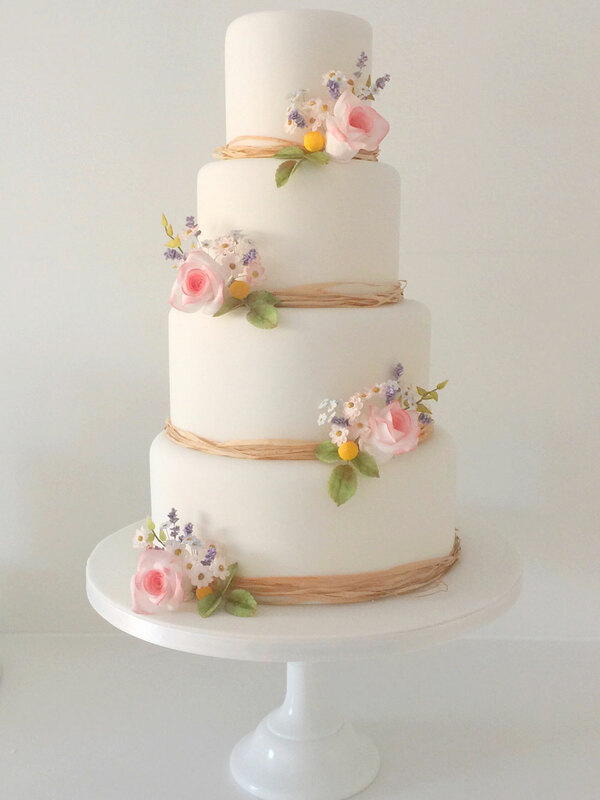 Decorated with tiny posies of pretty, handmade flowers, roses and vines. 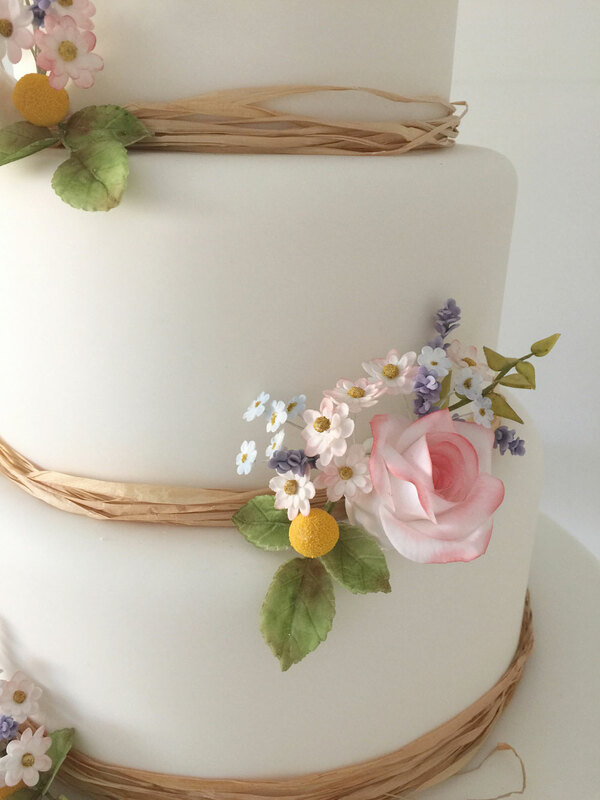 Trimmed with hand-tied raffia ribbons. 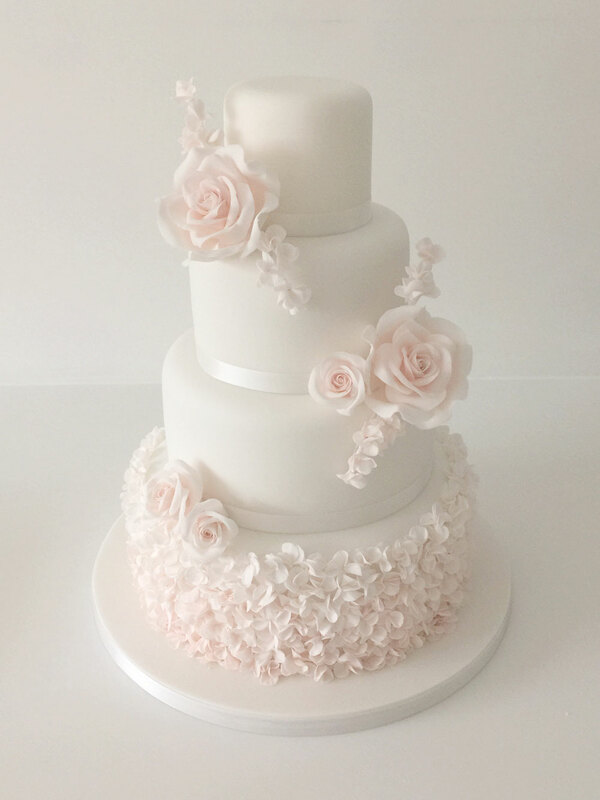 A combination of beautiful, oversized sugar roses, delicate soft pink rose leaves, pretty ribbons and lace – for the romantic bride. 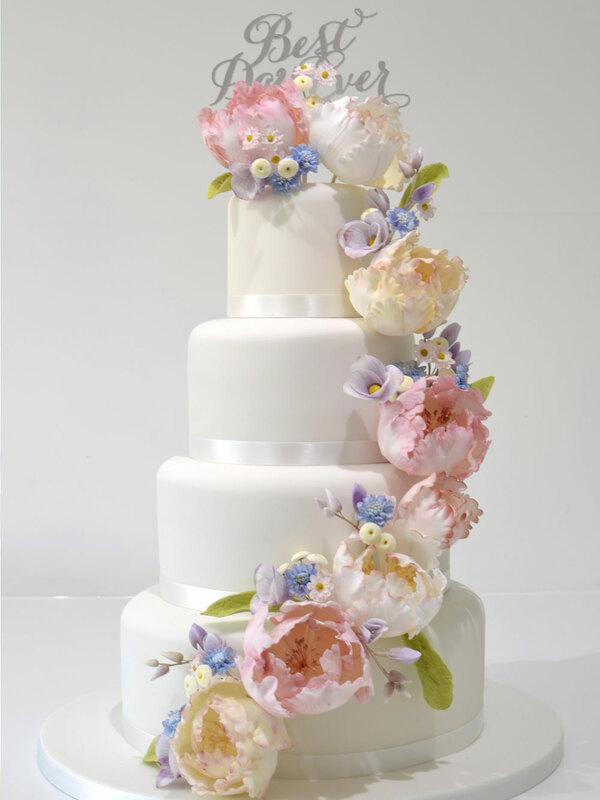 A stunning mix of over sized fantasy flowers, delicate cascades and a mass of tiny ruffled flowers. 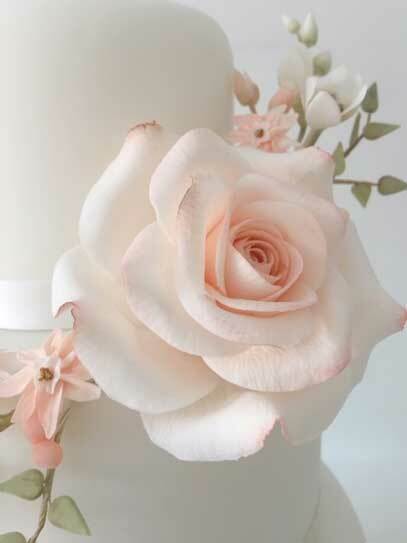 A truly feminine centre-piece. 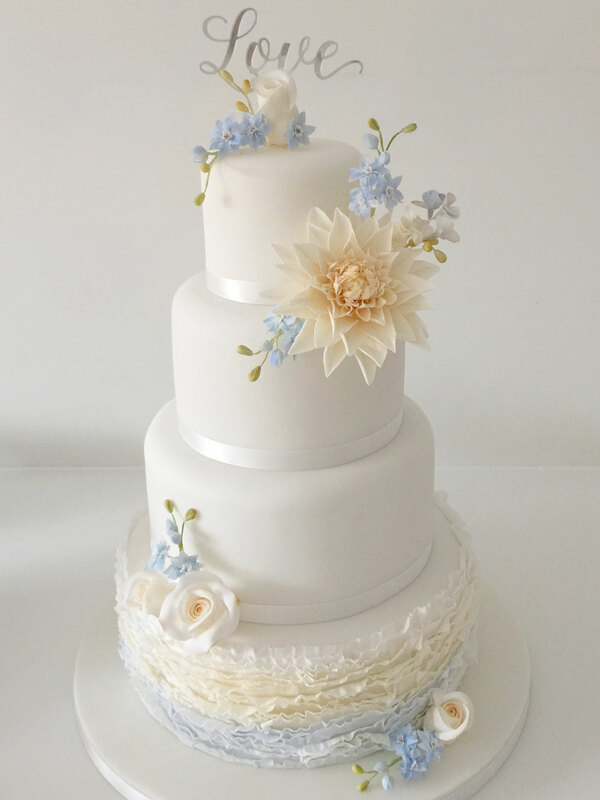 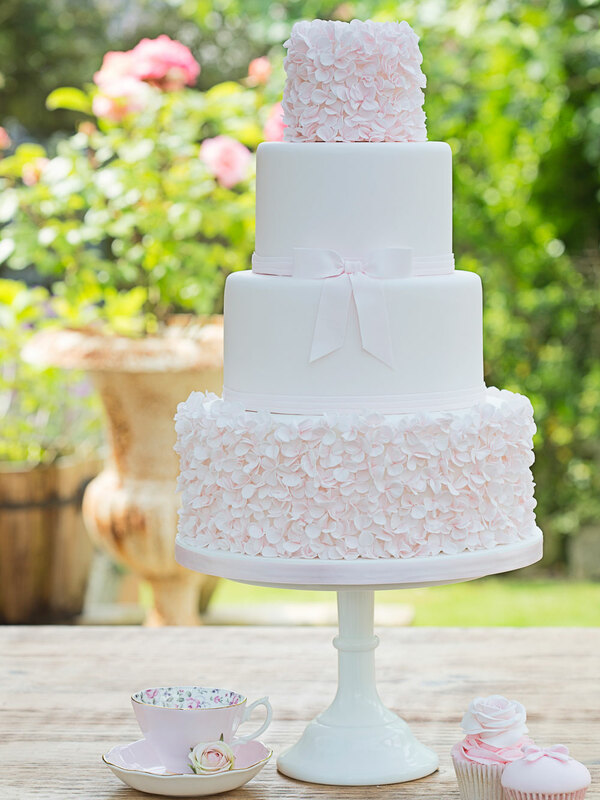 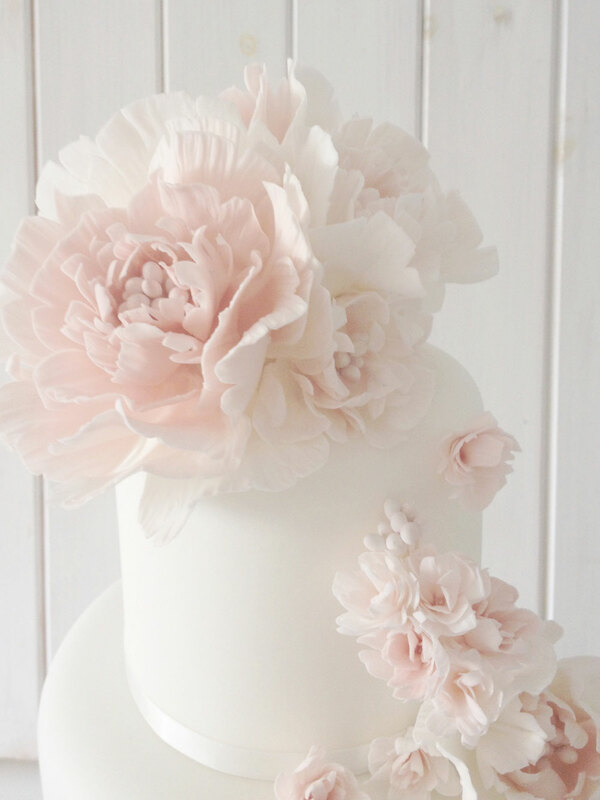 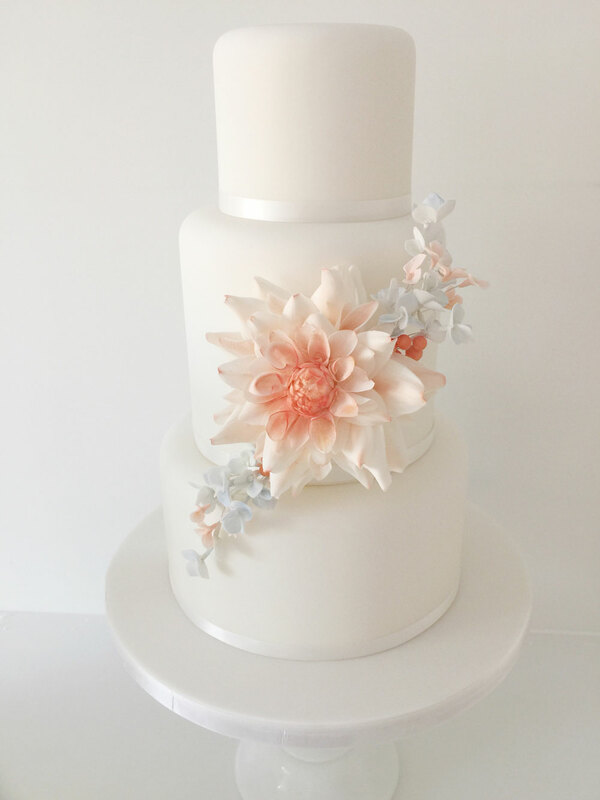 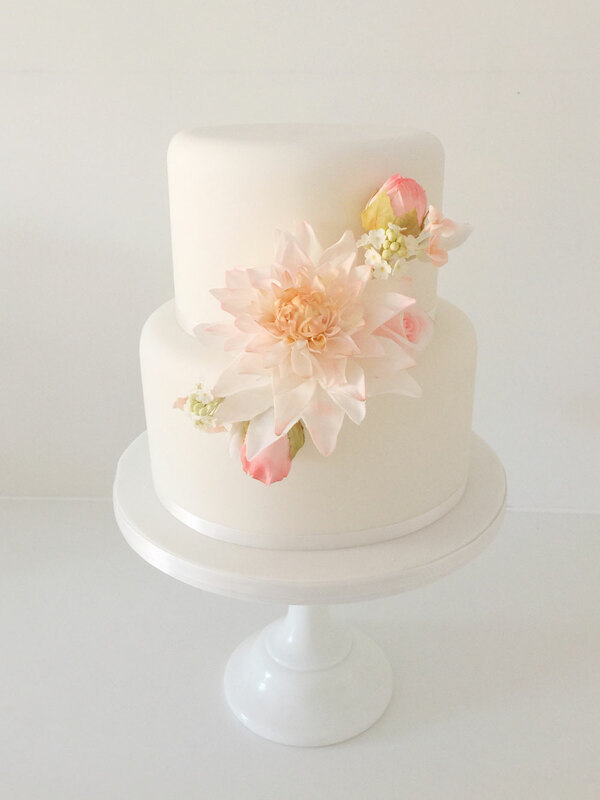 A beautiful combination of ombre sugar blossoms, delicate oversized roses and tiny hydrangeas.